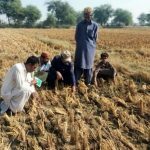 Nearly 3,000 smallholder wheat farmers throughout Pakistan will begin to sow seed of newer, high-yielding, disease-resistant wheat varieties and spread the seed among their peers in 2019, through a dynamic initiative that is revitalizing the contribution of science-based innovation for national agriculture. 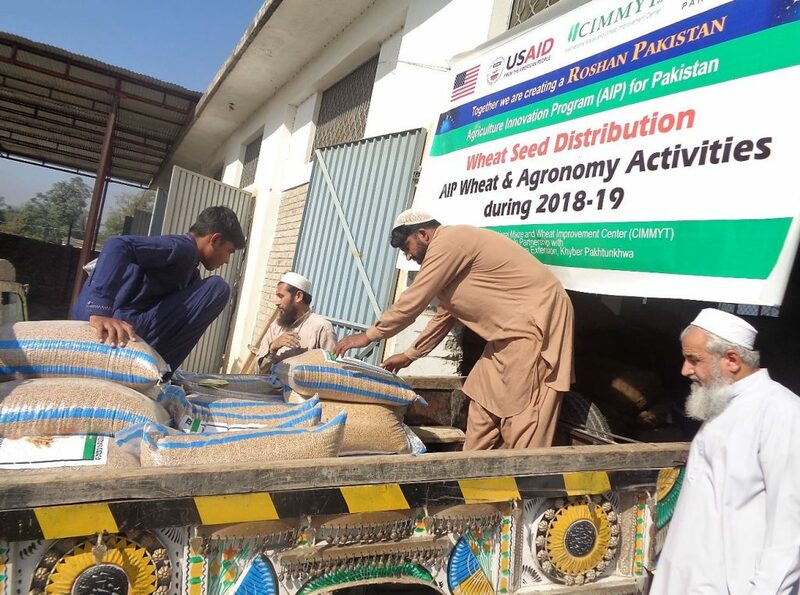 Some 73 tons of seed of 15 improved wheat varieties recently went out to farmers in the provinces of Baluchistan, Gilgit Baltistan, Khyber Pakhtunkhwa, Punjab and Sindh, as part of the Agricultural Innovation Program (AIP), an initiative led by the International Maize and Wheat Improvement Center (CIMMYT) with funding from the US Agency for International Development (USAID). 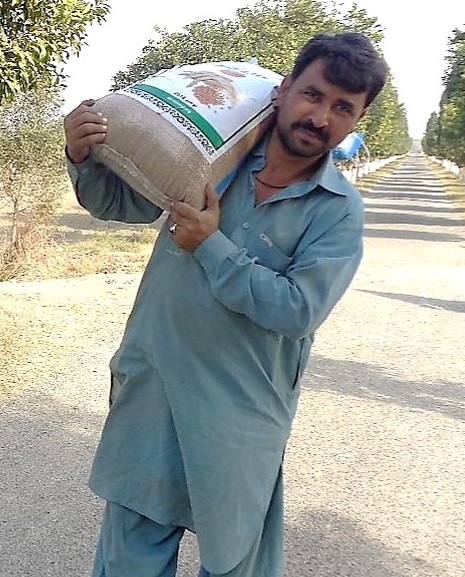 With support from CIMMYT and partners, participating farmers will not only enjoy as much as 20 percent higher harvests, but have agreed to produce and share surplus seed with neighbors, thus multiplying the new varieties’ reach and benefits, according to Imtiaz. He said the new seed is part of AIP’s holistic focus on better cropping systems, including training farmers in improved management practices for wheat. 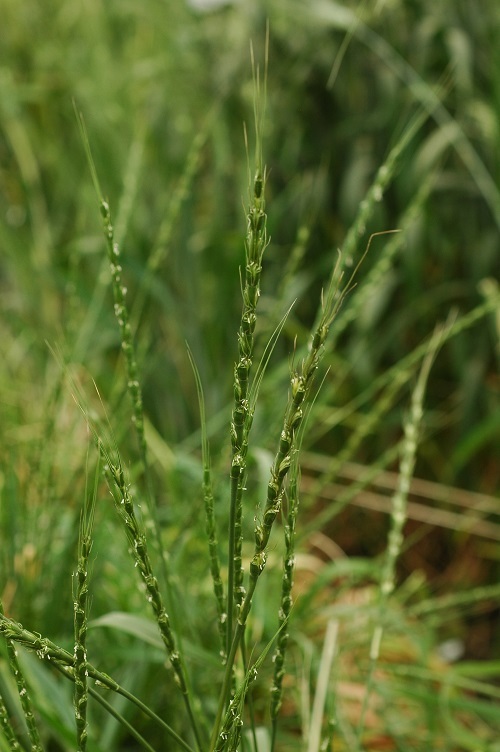 Wheat is Pakistan’s number-one food crop. 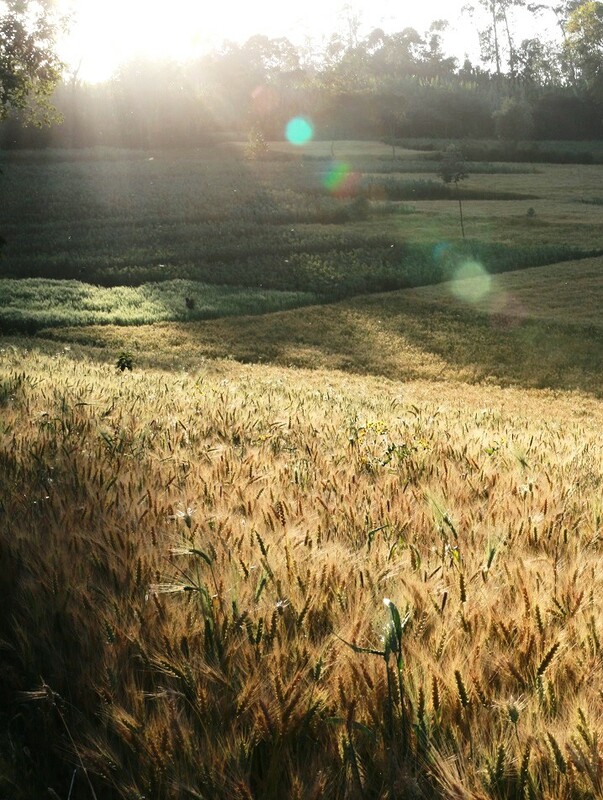 Farmers there produce over 25 million tons of wheat each year — nearly as much as the entire annual wheat output of Africa or South America. 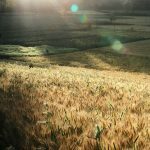 Annual per capita wheat consumption in Pakistan averages over 120 kilograms, among the highest in the world and providing over 60 percent of Pakistanis’ daily caloric intake. 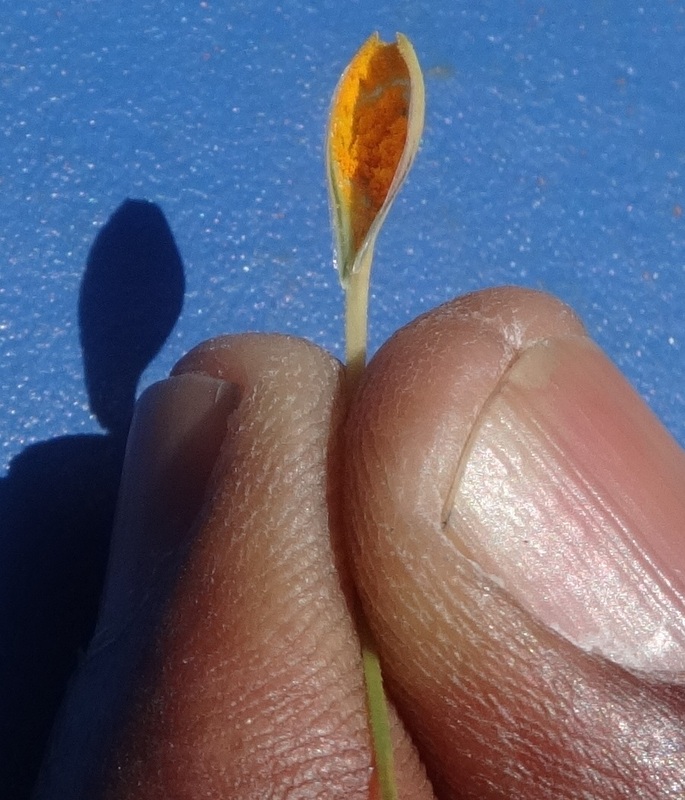 The seed distributed includes varieties that offer enhanced levels of grain zinc content. The varieties were developed by CIMMYT in partnership with HarvestPlus, a CGIAR research program to study and deliver biofortified foods. According to a 2011 nutrition survey, 39 percent of children in Pakistan and 48 percent of pregnant women suffer from zinc deficiency, leading to child stunting rates of more than 40 percent and high infant mortality. 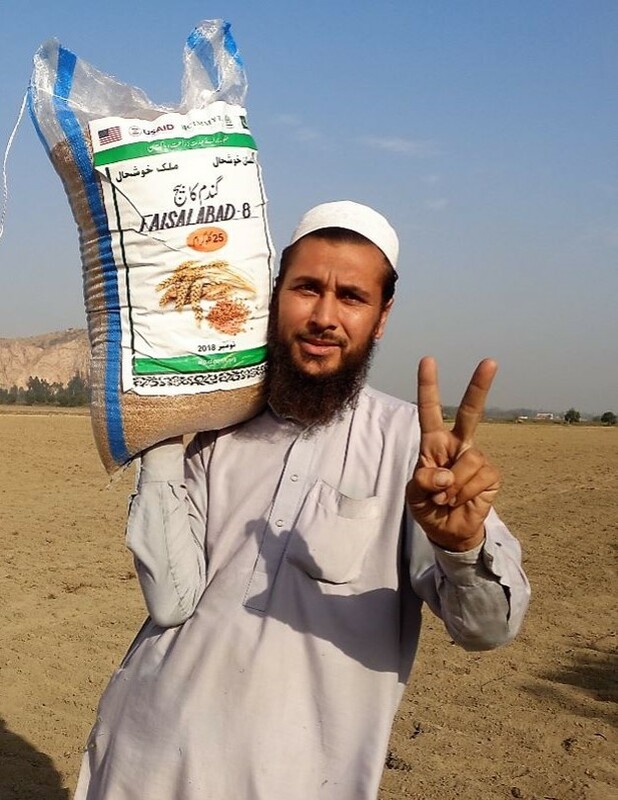 “I am very excited to be part of Zincol-16 seed distribution, because its rich ingredients of nutrition will have a good impact on the health of my family,” said Munsif Ullah, a farmer from Swabi District, Khyber Pakhtunkhwa province. 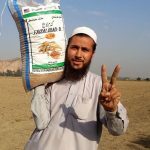 Other seed distributed includes that of the Pakistan-13 variety for rainfed areas of Punjab, Shahkar-13 for the mountainous Gilgit-Baltistan, Ehsan-16 for rainfed areas in general, and the Umeed-14 and Zardana varieties for Baluchistan. 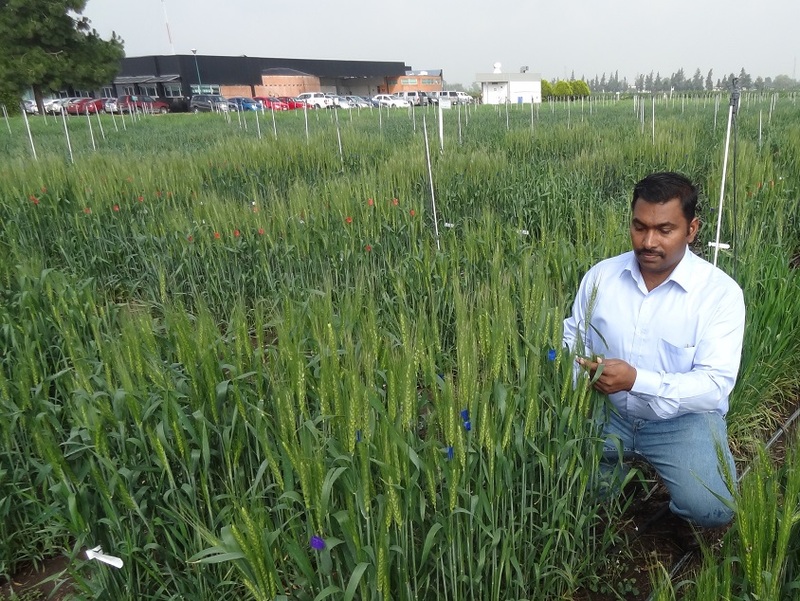 All varieties feature improved resistance to wheat rust diseases caused by fungi whose strains are mutating and spreading quickly in South Asia. CIMMYT and partners are training farmers in quality seed production and setting up demonstration plots in farmers’ fields to create awareness about new varieties and production technologies, as well as collecting data to monitor the varieties’ performance. They are also promoting resource-conserving practices such as balanced applications of fertilizer based on infrared sensor readings, ridge planting, and zero tillage. 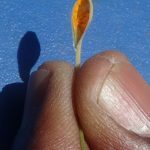 These innovations can save water, fertilizer, and land preparation costs, not to mention increasing yields. 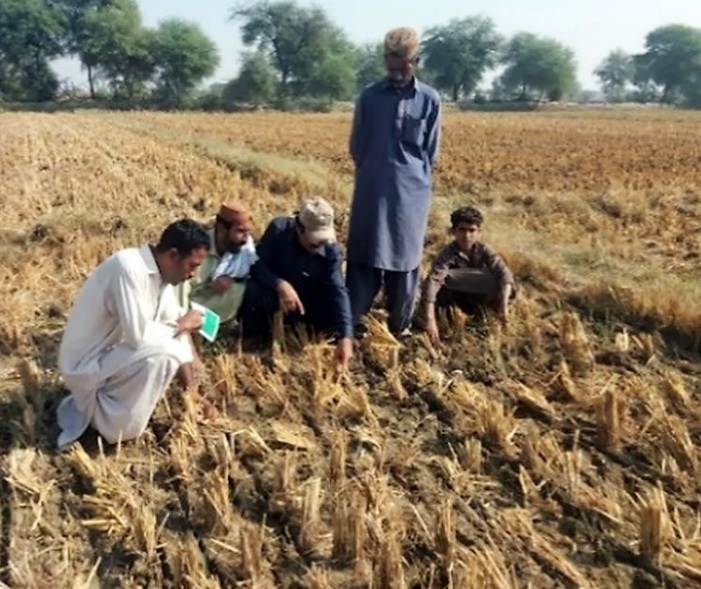 CIMMYT’s partners in AIP include the National Rural Support Program (NRSP), the Lok Sanjh Foundation, the Village Friends Organization (VFO), the Aga Khan Rural Support Program (AKRSP), the National Agricultural Research Council (NARC) Wheat Program, the Wheat Research Institute (WRI) Faisalabad and Sakrand centers, AZRI-Umarkot, Kashmala Agro Seed Company, ARI-Quetta, BARDC-Quetta, and Model Farm Services Center, KP. Gender norms – a set of cultural or societal rules or ideas on how each gender should behave – matters deeply on whether people adopt and benefit from innovations. Gender norms are also fluid, as they respond to changes in society, yet many of us fail to catch up with the changing norms. Example: As farming becomes less and less profitable, men leave rural areas for cities in search of jobs. This leaves women in charge of farms, especially in subsistence farming, but many policymakers mistakenly believe that women’s roles are still confined to the house. This then becomes a barrier for women to benefit equally from agricultural innovations as men do, which negatively affects agricultural production in the household and community, more broadly. 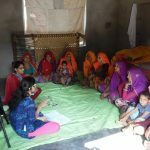 A breakthrough CGIAR global comparative research initiative “GENNOVATE” has paved the way for developing gender-transformative interventions. Among many resources it offers is a unique, in-depth gender knowledge base, established following five years of painstaking research – undertaken by 11 CGIAR centers, including ICARDA, and gender specialists across the globe. The study’s vast data and analyses have enabled researchers to move beyond smaller, unconnected studies that have largely defined gender research. In order to address the question of how gender norms influence men, women, and youth to adopt innovation in agriculture and natural resource management, GENNOVATE has engaged 7,500 participants from 137 rural communities in 26 countries in Africa, Asia, and Latin America. The qualitative comparative study employs a framework based on the understanding that for innovation to be effective, women and men on the ground must exercise “agency” and be active participants in adopting new technology or practice. The findings cast light on hidden norms within rural farming societies, as well as biases that influence decision making, technology access, and adoption within these societies and in rural development programming. GENNOVATE also provides tools and resources to help the integration of gender sensitivities into agricultural research for development projects. These evidence-based inputs and recommendations can facilitate the development of less-biased, customized interventions that meets the specific needs of target populations. They can also ensure that this is done in an inclusive, responsible manner in tune with local norms. This means scientists, practitioners, and policymakers can more easily incorporate gender into their work on climate-smart agriculture, conservation agriculture, mechanization, and farmer-training events, just to name a few. In short, it optimizes the chances of adoption of agricultural and environmental innovation. ICARDA has contributed 10 case studies to GENNOVATE. Three case studies from Morocco focused on linking gender norms and agency with innovations in agriculture, such as drip irrigation, and improved wheat and chickpeas varieties. Uzbekistan’s four case studies linked gender norms and agency with improved wheat varieties. 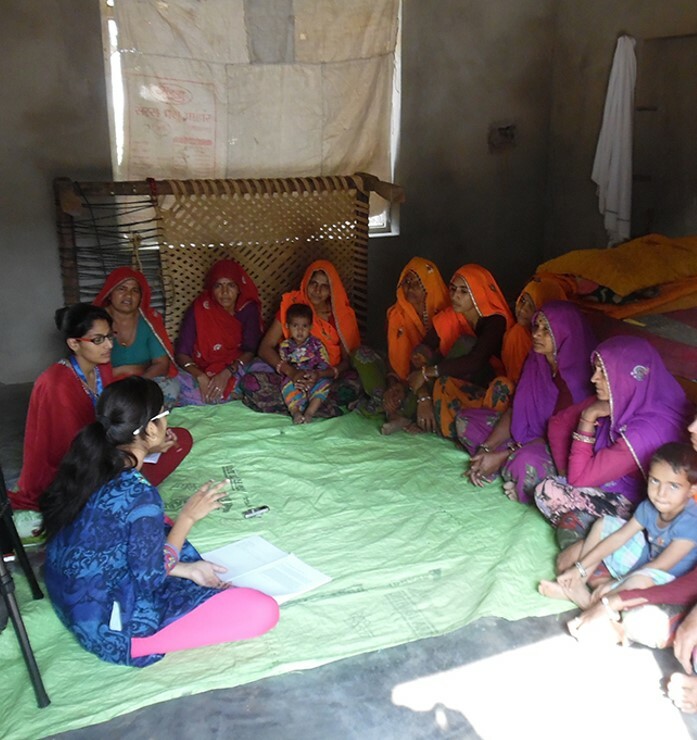 Three cases in India’s Rajasthan studied the link of gender norms and agency with improved barley varieties, contract barley farming, and improved goat breeds. 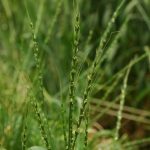 ICARDA also contributed to three of the six studies featured in The Journal of Gender, Agriculture, and Food Security’s special issue dedicated to GENNOVATE. The paper “What drives capacity to innovate? Insights from women and men small-scale farmers in Africa, Asia, and Latin America” demonstrated that gender norms and personality attributes influence men’s and women’s ability to try out, adopt, and benefit from agricultural innovations, as well as their ability to make decisions around them – this is an area that has been largely underreported in the innovation literature. “Gendered aspiration and occupations among rural youth in agriculture and beyond” shows that youth and gender issues are inextricably intertwined, and as a result, they cannot be understood in isolation from each other. The study also shows that deeply-ingrained gender norms often dissuade young women from pursuing agriculture-related occupation. “Community typology framed by normative climate for agricultural innovation, empowerment, and poverty reduction” made a case that inclusive norms can lead to gender equality and agricultural innovation, deepening the capacity to make decisions that can lead to escape from poverty. 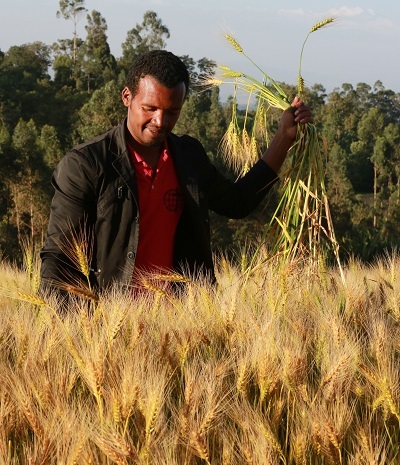 ICARDA’s contribution to GENNOVATE has been made possible with support from CGIAR Research Program on Wheat and CGIAR Research Program on Grain Legumes and Dryland Cereals. Dina Najjar is a gender specialist at ICARDA. As part of their education, students worldwide learn about the formidable challenges their generation faces, including food shortages, climate change, and degrading soil health. Mentors and educators can either overwhelm them with reality or motivate them by real stories and showing them that they have a role to play. 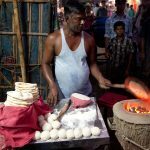 Every year the World Food Prize lives out the latter by introducing high school students to global food issues at the annual Borlaug Dialogue, giving them an opportunity to interact with “change agents” who address food security issues. The World Food Prize offers some students an opportunity to intern at an international research center through the Borlaug-Ruan International Internship program. 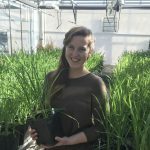 Tessa Mahmoudi, plant microbiologist and 2012 World Food Prize Borlaug-Ruan summer intern, credits the mentorship of CIMMYT researchers in Turkey with changing her outlook on the potential of science to improve food security and health. (Photo: University of Minnesota). 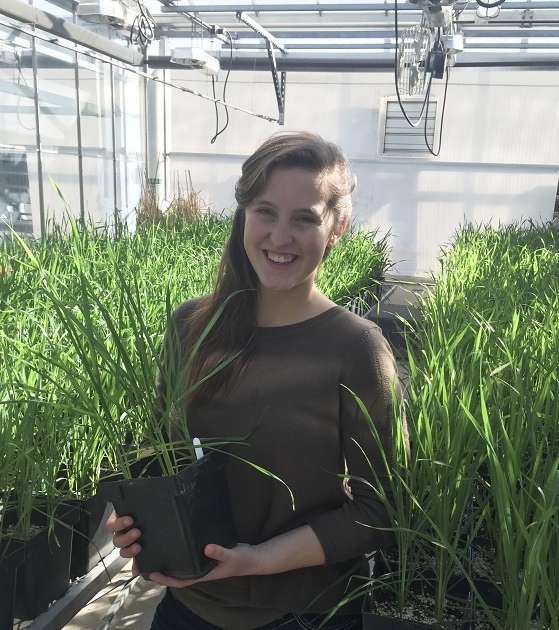 Plant Microbiologist Tessa Mahmoudi, a 2012 World Food Prize’s Borlaug-Ruan summer intern, says her experience working with CIMMYT researchers in Turkey when she was 16 years old profoundly changed her career and her life. According to Mahmoudi, her internship at CIMMYT empowered her to get out of her comfort zone and get involved in food security issues. She joined the “hunger fighters” at the University of Minnesota while pursuing a bachelor’s in Plant Science. “I was the president of the Project Food Security Club which focuses on bring awareness of global hunger issues and encouraging involvement in solutions.” She also did research on stem rust under Matthew Rouse, winner of the World Food Prize 2018 Norman Borlaug Award for Field Research and Application. Pursuing a master’s in plant pathology at Texas A&M University under the supervision of Betsy Pierson, she studied the effects of plant-microbe interactions on drought tolerance and, specifically, how plant-microbe symbiosis influences root architecture and wheat’s ability to recover after suffering water stress. Mahmoudi incorporates interactive learning activities in her class (see her website, https://reachingroots.org/). Her vision is to increase access to plant science education and encourage innovation in agriculture.Currently, Mahmoudi is involved in international development and teaching. As a horticulture lecturer at Blinn College in Texas, she engages students in the innovative use of plants to improve food security and global health. As an example, Mahmoudi is working with the non-profit Clean Challenge on a project to improve the waste system in Haiti. The initiative links with local teams in Haiti to develop a holistic system for handling trash, including composting organic waste to empower small holder farmers to improve their soil health and food security. 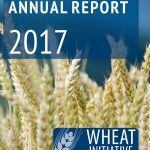 The Wheat Initiative 2017 annual report describes exciting outcomes from a major assessment of the organization’s first five years. Results include changes in executive leadership, new hosting arrangements, and a revised structure and operational plan. 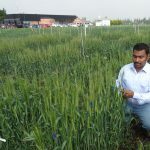 Amid these transformations, achievements included the initiation of the Wheat Ten Genomes Project, the publication of two volumes entitled “Achieving Sustainable Wheat Production”, a call for new projects under the International Wheat Yield Partnership, creation of a reference germplasm collection for durum wheat, and diverse advances by Expert Working Groups. 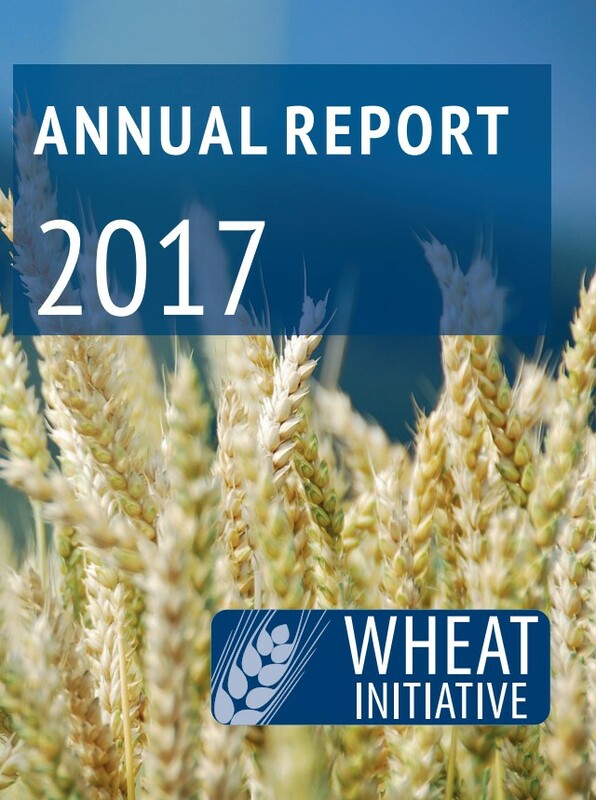 Created in 2011 following endorsement from the G20 Agriculture Ministries, the Wheat Initiative provides a framework for strategic research on wheat in developed and developing countries. It fosters communication between the research community, funders and global policy makers, aiming at efficient and long-term investments for research and development goals and seeking to enhance access to information, resources and technologies. 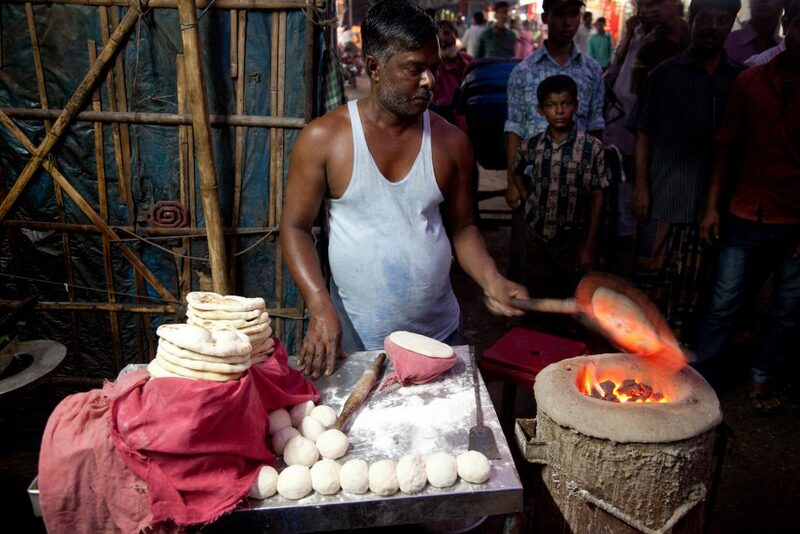 The CGIAR Research Program on Wheat is a founding member of the Wheat Initiative.